The number of Masses celebrated in the Diocese of Clogher each Sunday will be reduced by 15 per cent from the beginning of October. 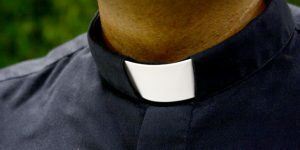 Clogher’s Diocesan Administrator, Monsignor Joseph McGuinness, recently announced that the diocese was facing big changes in order to deal with the decline in priest numbers and the aging profile of those still in ministry. Last weekend, a letter read out at Masses across Clogher announced that the number of Masses will be reduced from 113 to 96 with effect from the weekend of 6 to 7 October 2018. This will allow a declining number of priests celebrate several Masses on a weekend across parish boundaries in each of the Clogher’s seven pastoral areas. Some parishes will, from October, see Masses being rotated between two or even three churches at weekends. In some cases, churches will only have Mass on designated Sundays of each month. These changes follow the recent pastoral letter issued by the Diocesan Administrator, Monsignor Joseph McGuinness, entitled ‘The Future Mission of Our Parishes’. In the pastoral letter, Mgr McGuinness highlighted that the Diocese of Clogher has just 58 priests who are active in parish ministry at present, 28 of whom are aged over 65. Statistics show that the diocese has just 44 priests under the age of 75, and these are ministering to communities in 85 churches and 37 parishes. Mgr McGuinness said the current reality was that the number of priests is continuing to diminish and that this, along with the aging profile of clergy, “makes it increasingly difficult to maintain the level of service to our people that has prevailed in the past”. Last weekend, parishioners were told that the diocesan administrator had agreed a revised schedule of weekend Masses across the whole diocese and that no pastoral area in the diocese will be unaffected by these changes. Mgr McGuinness stressed that Mass will continue to be celebrated in all the churches of the diocese and that every church continues to be a living place of worship. “There is no question of any church being closed,” he stated. “Obviously, further changes will become necessary in the period ahead as parishes and Pastoral Areas continue to review local circumstances,” parishioners were told. On the matter of Funeral Masses on Sundays, Mgr McGuinness said that due to the decline in the number of priests, the reduced number of Masses at weekends, and the reality that priests will now have to celebrate several Masses on Sundays, it will not be possible to celebrate an additional Funeral Mass on Sundays. The Diocese of Clogher encompasses all of Co. Monaghan, most of Fermanagh and portions of Tyrone, Donegal, Louth and Cavan. It has a Catholic population of 88,000 across 37 parishes, which are served by 58 priests and 2 deacons. There are 85 churches in the diocese.